Oppo is getting more popular in Indian smartphone market as compared to other Chinese brands. Recently Oppo has overtaken Apple to become the No. 2 smartphone brand in India. If you are an Oppo user and want to learn how to take screenshot on Oppo Neo 7, this post is for you. 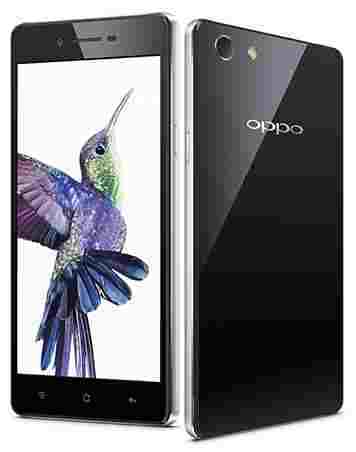 Oppo Neo 7 features a 5 inches multi-touch capacitive display with a resolution of 960×540 pixels. The display supports 16 million colors and also has has wide viewing angles. The smartphone runs on Android 5.1 lollipop which offers smooth user experience. The Oppo Neo 7 comes with Snapdragon 410 CPU that has a quad-core architecture. It also has 1 GB of RAM. Oppo is known for its awesome camera quality. This awesome smartphone comes with a 8 MP rear camera and 5 MP front camera. The camera has features like HDR mode, face detection, touch focus and many more. Other features included 2420 mAh non-removable battery, dual sim support, hotspot, Bluetooth v4.0 etc. It’s very easy to screenshot on Oppo Neo 7. A sceenshot comes handy to save a PDF, webpages and any other phone screen instantly as a JPEG file. You can even take a screenshot of your favorite video. The file is saved to phone gallery itself. You need to follow few simple steps mentioned below to take screenshot on Oppo Neo 7 (A33F). If everything done properly, a camera shutting sound will be heard along with some animations on the display which indicates that you have taken the Screenshot successfully.